The sub frame is always a steel L section for the legs and a steel fascis usually for the head section. 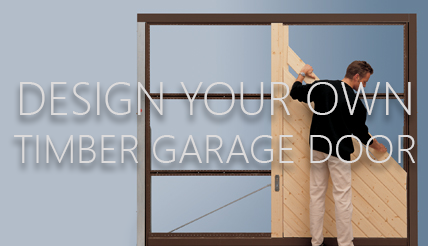 A sectional timber garage door like all sectional doors is designed for installation to the rear of the garage opening and the frame is not designed to actually be seen as it sits on the inside face of the sturctural opening. 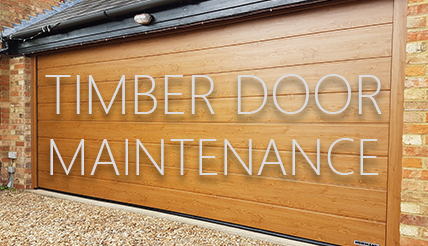 However may sectional doors are needing to be installed inbetween the opening to maintain length in the garage or because there is a very deep reveal to the piers. When this happens then the legs can either be faced up with timber to match the door panel or many companies offer painted steel profiles in almost any colour so these can be used to make a neat and final finish. This is the one door type where there really isnt a sub frame like others. The mechanism requires a top track to line up with the bottom track in various options and the side sections are merely closing strips and a channel in whcih the door panel can close into for weathersealing and security. 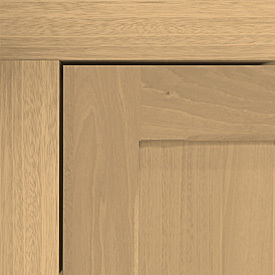 When a round the corner door fits inbetween an opening then a maching infill section may be the best option to create a false return for the door tracking curve. 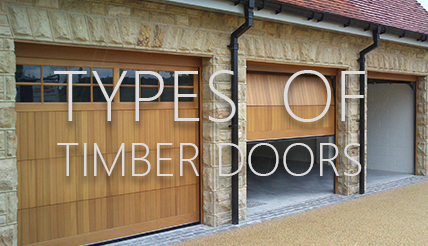 The Overlap trackless sectional type timber doors always have exactly the same fixing sub frame system as the frame at either side contains the numerous weights for the counterbalancing of the door panel. The head frame section is also the same size whatever size door is ordered and can contain the electric motor and controls within the section. 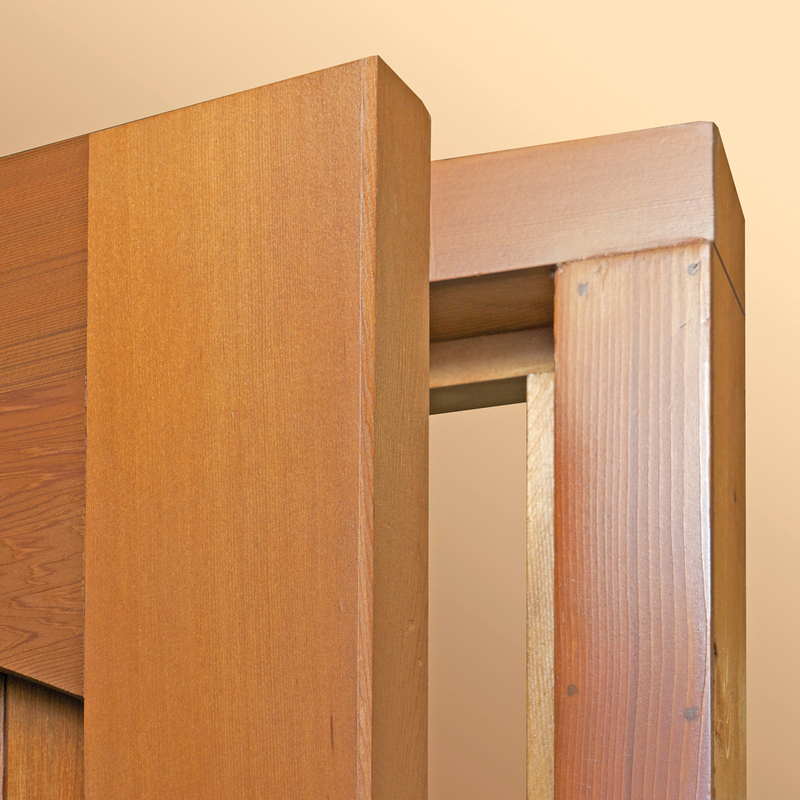 This frame is a crucial item to get perfectly level to ensure proper door operation and the frame is all steel apart from the provided matching timber fascia for the front of the frame to match the door timber and colour chosen. 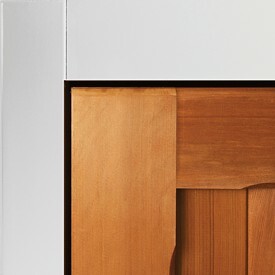 The side hinged doors use the same 3 sided frame principal as they have done for years. 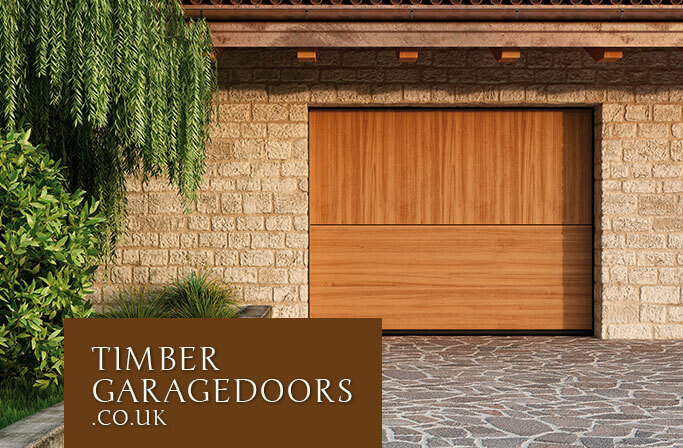 Most timber side hug doors have a timber sub frame and this is usually ether 70 x 90 or 70 x 70 as a finished timber size and is three sided to go all round the door panels and fix inbetween or behind the structural opening. 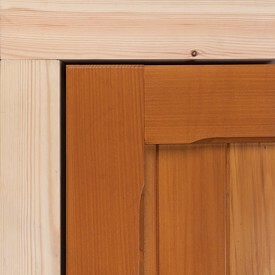 Large timber sections may be used to help to maybe get a smaller or standard door size into the opening. Garador are the only exception here with a steel sub frame system combined with a steel chssis frame for the actual door panel. The timber design is infiled into an existing framework and the fixing frame is factory fitted and ready to install directly to the opening. 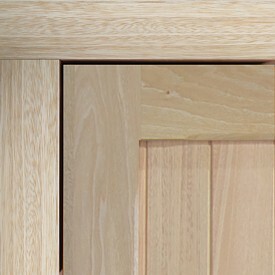 Again this frame could be clad in timber if required and like the timber frame options showing below, the frame can also be a factory prepared cedar clad frame to match the majority of timber doors sold in the UK, which are nearly always cedarwood. 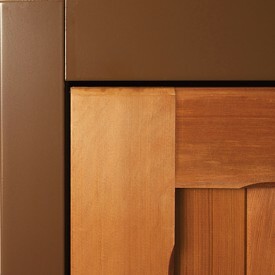 Like the side hinged all up and over doors have a 3 sided sub frame either in a steel or timber construction. 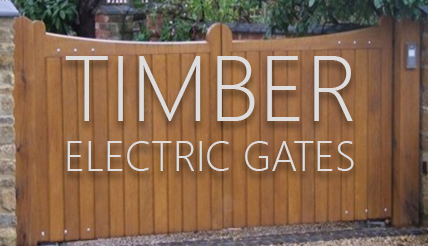 The steel sub frame marries up with the steel chassis panels used by many leading companies offering greater stability than a traditional all timber door. The general size of these steel frames are 70mm wide and a 57mm head section and are designed to fit inbetween or behind an opening. They are usually finished in white or brown powdercoat like the chassis for the door panel will be too. The timber frame options are many but the main thing to remember with a timber sub frame is will it match the timber door panel? For years the only timber frames sold were either softwood or hardwood and that is still the same today and these are sorted redwood and red meranti in the main. 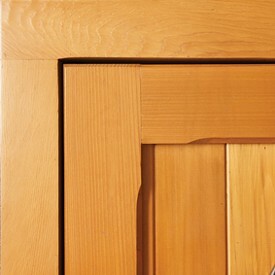 These 2 timber types wil not match any of the timber doors sold which are almost always cedarwood, idigbo or oak. Make sure you look into the options for cedar clad sub frames and thn it is possible t get oak or idigbo solid timber frames and this would always be the case. 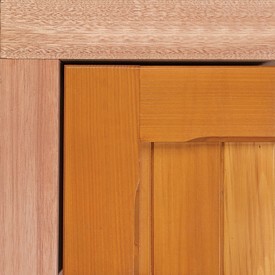 See the examples below showing various timber and steel sub frames compared to the main door panel. None of these timber frames have any treatment applied so the differences could be even more exaggerated later.